Following on from the first blog about the hot water heating control here's what I put together for the mounting. 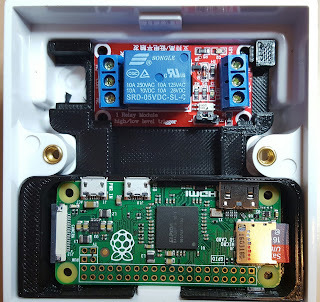 Whilst looking for a suitable enclosure I came across an surface mount electrical socket back-box and I got to thinking "how can I mount the RPi W and relay in this?" 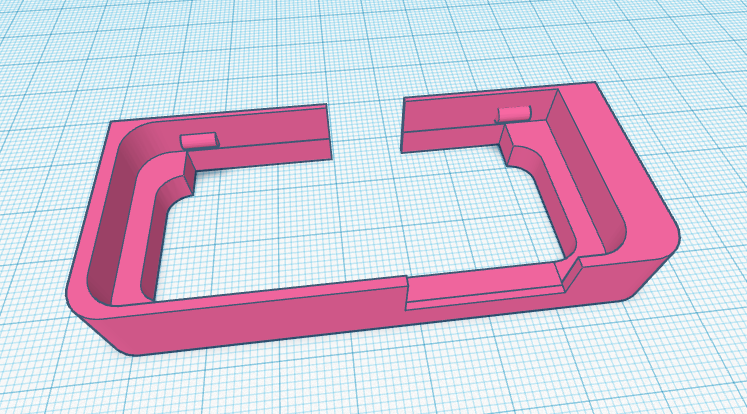 so after some head scratching I thought about 3D printing some carriers to go inside the back-box. 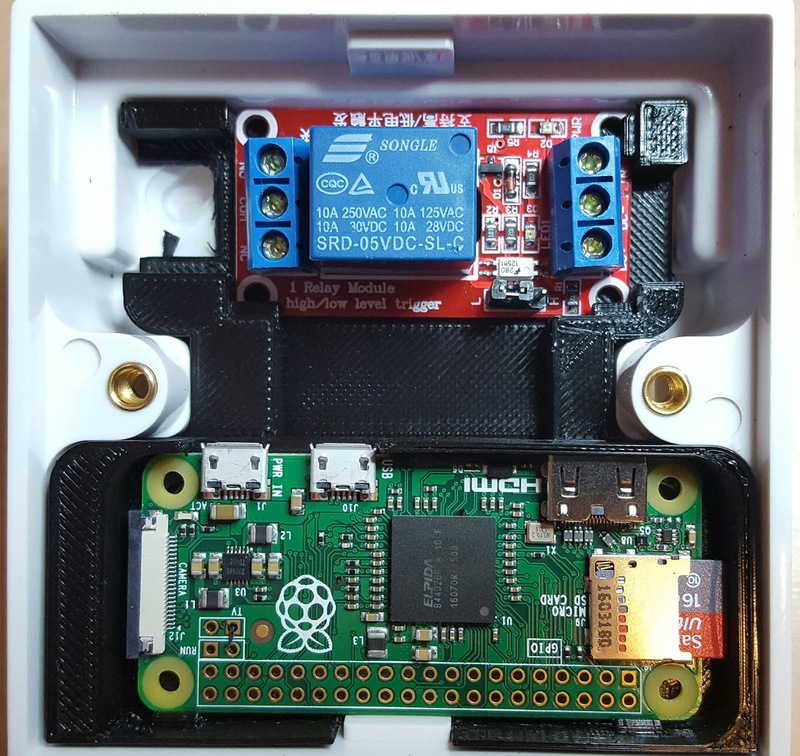 The picture above shows two carriers printed to support the RPi and the relay board. Then I made the required entry holes in the back-box for the power cable (USB), the mains switching cable for the relay and the temperature sensor cable. This contraption has been sitting on my desk for a few weeks running quite happily and I've been checking the event log to make sure it's been switching on and off when it should. Next to interface it to the existing wiring.